Thanks to Everyone Who Came Out! PIPELINE PUBLIC FORUM A SUCCESS! Come to this cross township Citizens Against PennEast meeting to hear where we are in the process, what we’ve accomplished so far, and how to file to become an intervenor. Speakers will include Jim Waltman and Mike Pisauro from the SBMSW and MIke Spille from West Amwell CAP. Mark your calendars for this important, don’t miss meeting! With Lenni Lenape prayers and drumming, protesters from two states marched from Upper Black Eddy, Pa. to Milford to protest the proposed PennEast pipeline.that would bring fracked gas to New Jersey. If you were there or you were unable to make it — either way, have a seat and watch this inspiring 31 minute-plus HD video! 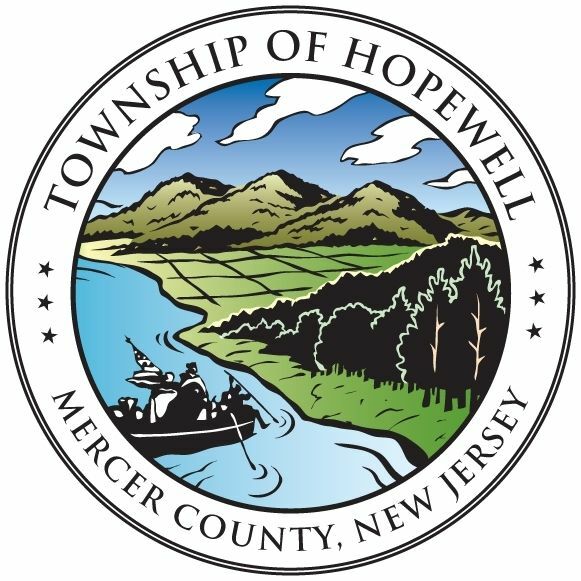 Also see link to Hopewell Township Board of Health Hearing from Tuesday evening, July 28 saying an emphatic “NO” to PennEast: http://vp.telvue.com/preview?id=T00986&video=244091. 2 Victories! Trenton Times reports on DEP FERC letter & Mercer County Rescinds Survey Permission! A letter from the DEP has stated the agency does not have enough information to issue permits to PennEast to begin work. Opponents of the proposed PennEast pipeline are claiming a victory after the state Department of Environmental Protection said it doesn’t have enough information to evaluate the permits needed to build the $1.2 billion natural gas conduit. Because only about a third of the property owners in the proposed pipeline’s path through Hunterdon and Mercer counties have allowed the company to perform surveys, the DEP doesn’t have enough information to determine which permits PennEast will need, according to a July 2 DEP letter. With preliminary work incomplete, the department is unable to complete a formal review of the proposal, including issuing necessary permits to begin work. “It does not even make sense for us to review the project with so little access from public and private owners in New Jersey secured at this time,” department spokesman Lawrence Hajna said. That’s good news to pipeline opponents, who lauded homeowners along the proposed path of the pipeline, which stretches from northeastern Pennsylvania to Hopewell Township. “This letter from DEP is a major roadblock for PennEast,” Tittel said. Representatives for PennEast downplayed the DEP’s letter, saying it is merely part of the approval process. The DEP’s letter was sent to the Federal Energy Regulatory Commission, which has final say over the approval of the pipeline. 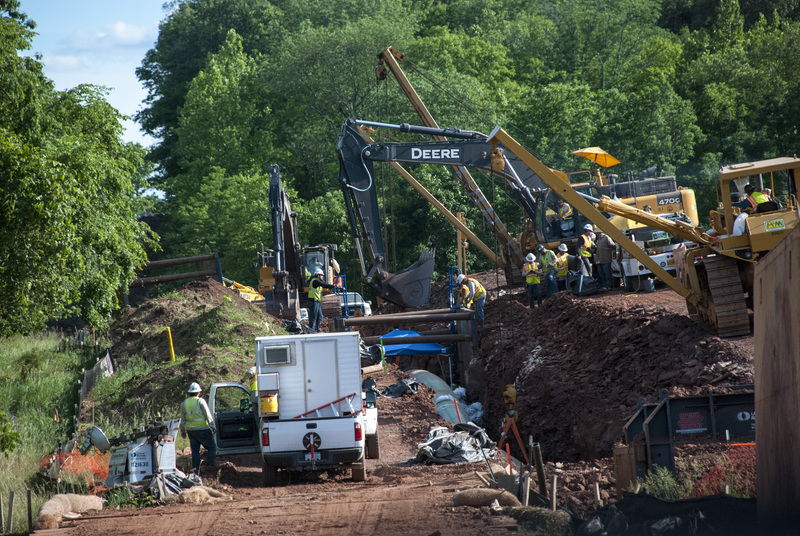 PennEast is in a pre-application stage of the federal approval process. The company plans to make a formal application in the third quarter of this year, Kornick said. The DEP in its letter said it cannot complete a review of land-use or water-quality permits “if the potential impact surveys and mitigation and restoration plans’’ are incomplete. PennEast is progressing through an early phase of the application process in which feedback is sought from various agencies and landowners, Kornick said. Based on that feedback, the pipeline route is changing — something that will be difficult to do once a formal application is submitted to FERC. There have been at least six alterations of the route, according to the company’s website. The most recent route was released in March. PennEast is now doing surveys on public property and getting permission to survey private properties along the route as well. She also said that after adjustments were made, half of the pipeline’s total route now fits with existing utility rights-of-way, a significant issue raised by the New Jersey DEP. PennEast, a consortium of natural gas companies backed by all four natural gas providers in the state, wants to build the 110-mile, 36-inch pipeline from the Marcellus Shale region of Pennsylvania to Hopewell Township. If approved, the pipeline would begin construction in late 2017 and begin operation in early 2018, Kornick said. This article contains reporting from Steve Novak. TRENTON — Mercer County Executive Brian M. Hughes today informed officials associated with the proposed PennEast Pipeline Project that the company would no longer have access to lands owned by Mercer County for the purpose of surveying the property to facilitate the project. This decision was reached as a result of the company performing soil borings on Baldpate Mountain, which the county has deemed as potentially environmentally harmful. PennEast has no legal obligation to consult with the county to access or map public land. But in order to understand the full and possible impact to county parkland, the county believed that granting access to the company to delineate wetlands and to survey would provide the knowledge necessary to wage a battle to protect county open space. 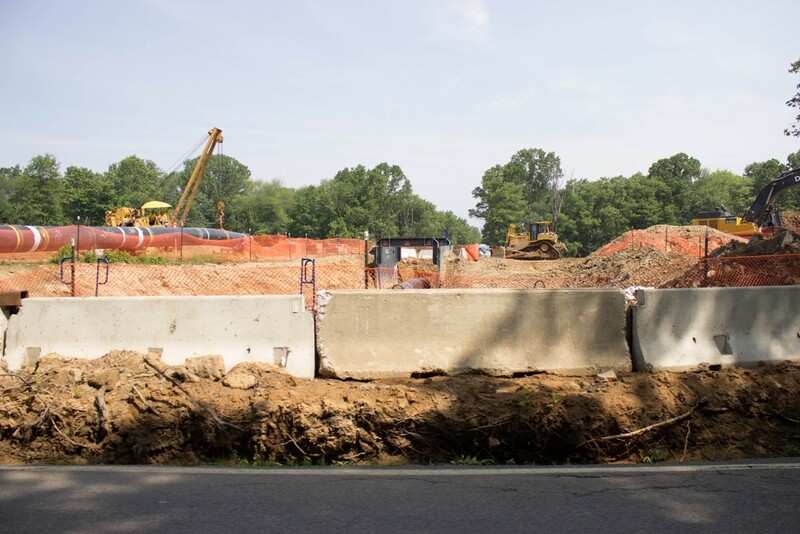 In light of the intrusion on numerous ecosystems and news that the N.J. Department of Environmental Protection has been unable to collect enough information to issue permits to PennEast to perform work, the county has blocked further access to its property. 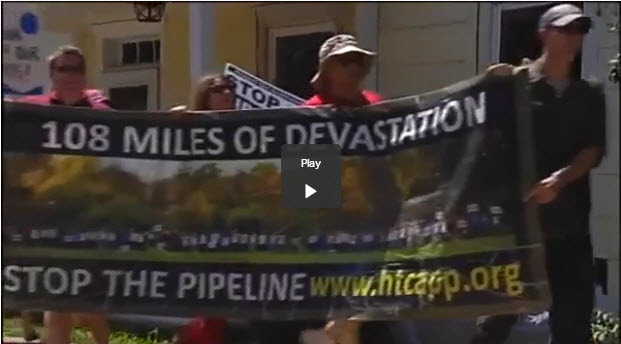 Mercer County first became aware of the proposed PennEast Pipeline Project in fall 2014. Preliminary maps showed the underground gas line bisecting pristine parkland, preserved open space, farmland, woodlands and wetlands throughout Mercer Meadows, including the Rosedale Lake, Equestrian Center, Ecological, and Farm districts. As a result of the county urging PennEast to co-locate the proposed gas line with existing utility rights of way, the fragile ecosystems in Mercer Meadows and Rosedale will not be impacted. In fact, the company’s initial proposal to FERC revealed the proposed path would cut through pristine ground including fragile wetlands. Instead, the current proposal being presented to FERC puts more than 85 percent of the pipeline in Mercer County within existing public utility rights of way. Unless this project receives federal approval, the county will no longer permit any soil borings to occur on Baldpate Mountain. The county is prepared to fight on the behalf of county interests and to fight for the open space it has purchased. The county remains opposed to the pipeline. If you need to let PennEast know (or remind them) that you don’t allow access to your land, here’s the letter to refuse survey. Be on the lookout. Surveyors are all over the area and have been cited trespassing. If surveyors are on your property without your permission, you are within your rights to call the police and file a police report. July 16, 2015 Kingwood Township Meeting with PennEast: Here’s What Happened . 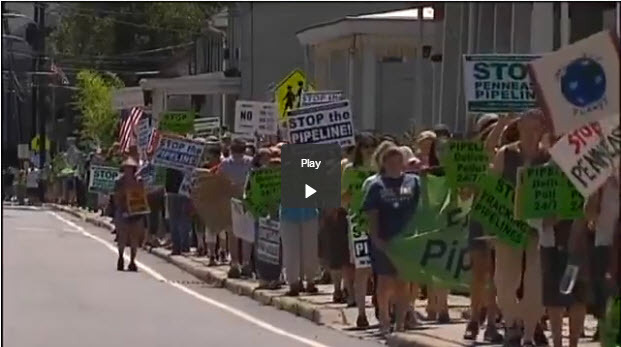 . .
Congratulations Kingwood Township Officials for pushing back against PennEast. Way to stand up for your residents for setting an example of the right way local government should stand up for it’s citizens. Other municipalities in New Jersey — take notice!! On July 16, 2015 Kingwood Township Mayor, Richard Dodds, Environmental Commission Chair Deborah Kratzer, and Planning Board Chair Maureen Syrnick met with PennEast representatives Andrew Sinclair (UGI), and Jack Herbert (NJR). PennEast requested a meeting with the township to bring Kingwood up to date with the project. Mayor Dodds recorded the entire meeting, and the audio file will be available to the public. It is a 250 MB audio file so we are currently working on creating an efficient way to distribute. Monitor all the wells in the Township – not just those on the properties where the proposed pipeline is sited. The monitoring, conducted for a minimum of 10 years, should consist of pre and post construction depth to water, well capacity, and recharge reports. 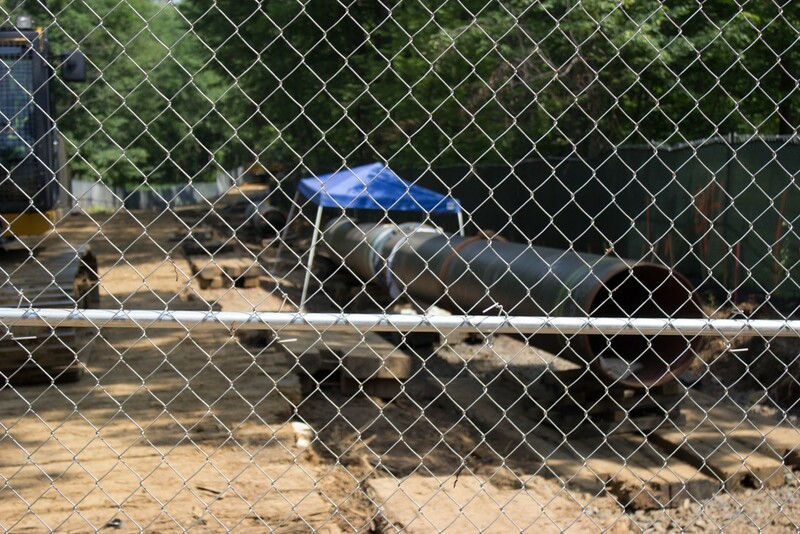 If any wells are negatively affected by the construction of the pipeline, Kingwood Township requires PennEast to make whole those property owners that are affected, by methods including but not limited to drilling new wells, providing potable water in perpetuity, or fee simple purchase of the property at rates based on the past 10 year high. Monitoring must be done by certified hydrologists who report to the Township and are paid for by PennEast. The same monitoring and making whole should also be done for all septic systems within the township. Any and all streams, stream buffers, wetlands, and wetland buffers must be fully delineated and avoided along the route. Delineations must be done by qualified environmental scientists who report to the Township and are paid for by PennEast. Complete two season studies must be done alone the entire route of the pipeline for all threatened and endangered species. These studies must be done by qualified environmental scientists who report to the Township and are paid for by PennEast. A complete cultural heritage survey must be done alone the entire route of the pipeline. These studies must be done by qualified historians who report to the Township and are paid for by PennEast. All efforts must be made to eliminate the impact to any and all issues discovered in items 3 thru 5 above including but not limited to the rerouting of the pipeline, underground boring, or other techniques that would eliminate the impact to the given issue. No natural gas pipeline may be places closer than 4000 feet of an occupied structure. The cleared right-of-way be no larger than 50 feet. 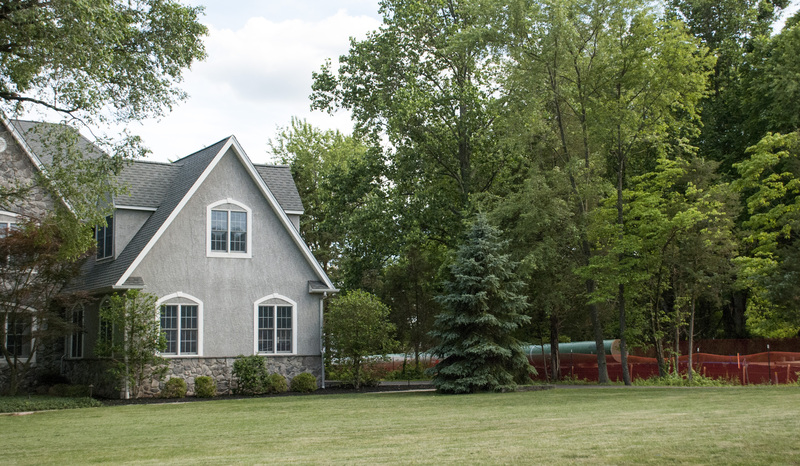 All Kingwood Township land owners directly impacted by the pipeline must be offered lease options and royalty payments based on the per foot volume of gas that passes through the pipeline on their property. We discussed how negligent Penn East has been in understanding and acknowledging the many environmentally sensitive issues in Kingwood as well as all the NJ townships. We stated that anyone with even minimal research can easily find far less environmentally damaging routes than the route PennEast has chosen. Using PennEast’s Maps we pointed to just one area that is clearly forested wetland and stream corridor. After a quick look both PennEast representatives were unsure why they picked that area to go through and said they hoped that someone in their organization has reasons why. PennEast said in the planning phase they decided to estimate a very high tax fee so they would have enough in their budget for property taxes. PE’s Jack Herbert said that if it turns out that they overestimated the taxes in Kingwood that they will be happy to just give the township all the extra tax money that they had budgeted. PE stated they have revised many of the Resource Reports base on comments received. When asked why we have not seen any revised resource report since April, the PE rep recanted and said that maybe they just revised comments in the reports and not the full reports. He promised to send us the most up-to-date info ASAP. PE stated they intend to bury the Pipe 5’ deep instead of 3 feet. PE mentioned potentially putting up a fence around the pipeline if there are some sections that pose a threat. PE mentioned they planned on narrowing the construction row in select places to minimize environmental damage. Mayor Dodds asked if their surveyors have been on property private property without permission. PE responded that should not happen. Sometimes there are mistakes. The will provide supervisor phone numbers so that citizens’ can call and report any incidents. PE’s revised date to file with FERC in mid to late September 2015. Mayor Dodds made it clear to PennEast that no one in Kingwood Township wants their pipeline built! NJ DEP FERC COMMENT – Hold the Course – Keep saying NO to surveying! Our efforts to stop PennEast from having access to and surveying our lands is working! The NJ Department of Environmental Protection is stating that they CAN’T issues permits to PennEast if they don’t complete the surveys! Only 33% of NJ land has allowed survey. We are standing together against PennEast. GREAT WORK EVERYONE! HOLD THE LINE! SAY “NO!” TO SURVEYING! We’re asking EVERYONE to show up to this one and bring your concerns about health and safety! Ask the Board of Health to make a strong statement to FERC that the PennEast pipeline would pose too high a risk to us all. We’ll post more information about this event soon. In the meantime, keep reading…. This FERC comment from HTCAPP member Kim Robinson came through this week. One fo many great FERC comments from Kim; she really makes a strong statement. 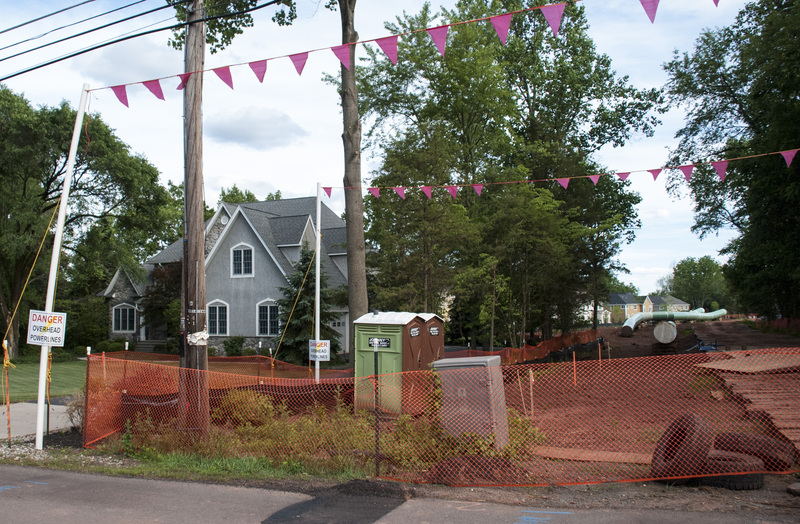 In August 2014, we received a letter from the PennEast Pipeline Company informing us that our property had been identified as an “abutting” property in relation to its proposed pipeline project. As a concerned land owner and member of the public, I have tried to participate in the FERC’s established process to express concerns regarding the project. Unfortunately, either the established process is flawed, or my primary concerns are simply being ignored by all parties, including the FERC. The FERC hosted a few “Scoping” meetings, including the one I attended on February 25, 2015 in West Trenton, NJ. Not only was there a severe shortage of parking, requiring some people to park quite far from the venue (one friend had to park about eight blocks away, and many who could not walk that far had no choice but to go home), but there was not enough time for those who COULD attend to speak, and the FERC did not schedule another meeting for that location or nearby. Nevertheless, I arrived an hour before the meeting began and I did get to speak. My entire verbal comment was regarding how PennEast plans to build and install a physically safer pipe for individuals who live in a densely populated area than it will for individuals who live in a rural area. So the child living in, say, Bethlehem, PA will be provided with a thicker (and therefore SAFER) pipeline than will my child. I consider this to be clear discrimination, and I said so at the Scoping meeting. On February 27, 2015, I submitted a written scoping comment to the PennEast docket on the FERC’s website (http://elibrary.ferc.gov:1/IDMWS/file_list.asp?document_id=14307436) regarding various aspects of pipeline safety – specifically detailing the discriminatory differences in construction as mentioned above, but also discussing the psychological impacts of living near a pipeline, recent cyber security breaches, lack of knowledge and withholding of knowledge on the part of PennEast, issues with the current calculation of Potential Impact Radii, and the fact that the pipeline industry as a whole has YET to conquer the basic task of using proper materials and construction techniques. As I show in that earlier comment, only 25.6% of gas transmission HCA failures are due to third party interference. The majority are due to pipeline materials, construction methods, equipment and incorrect operations. PennEast will comply with the pipeline safety standards established by the U.S. Department of Transportation, Pipeline and Hazardous Materials Safety Administration (PHMSA) (49 CFR §190-199). Pipelines are the safest, most environmentally-friendly and efficient mode of transporting energy, according to PHMSA. Data shows that while natural gas demand has increased, serious pipeline incidents have decreased by 90 percent over the past three decades alone, primarily as a result of significant efforts by pipeline companies to upgrade and modernize their infrastructure. Transportation by pipeline is the safest mode of transportation. leak surveys and send sensor equipment through the line to make sure integrity has not been compromised. PennEast will continuously monitor (24/7/365) how much gas is transported through the system, operating pressures and temperatures throughout the system, and other critical operating data. This is done in real-time through our gas control center. Should any unusual data surface, PennEast will immediately dispatch field personnel to address the issue and protect the community. Additionally, the pipeline will be clearly marked at all road crossings, creeks, property lines, and fence lines to minimize the potential for third party damage. PennEast will be a member of the national 1-Call system (Dial 811) that requires anyone performing excavations to call 3 days prior so that the line can be located and marked in the area of excavation. Local emergency response and management personnel will receive emergency response training prior to the Project being placed into service and on an ongoing basis thereafter. Necessary information and instructions regarding the facilities will be provided to local emergency response and management personnel. A plan will be in place for coordination between PennEast and local emergency response and management personnel in the event of an incident. PennEast is designing the Project to exceed federal safety regulations in many important areas, including: The pipe material will meet and generally exceed the API-5L requirements; Class 2 pipe will be installed in all Class 1 locations in order to increase safety factory; 100 percent nondestructive inspection of mainline welds (for example 49 CRF 192 requires only 10 percent of the welds to be tested in Class 1 locations); and Prior to placing the line into service, the pipe will be hydrostatically tested at a maximum pressure that will exceed industry standards identified in 49 CFR 192. The high grade steel utilized in the manufacture of the pipeline makes pipe deterioration less of a concern for projects such as PennEast. No pesticides will be used in the maintenance of the pipeline ROW. Resource Report 11 – Reliability and Safety will evaluate the overall safety of the Project through construction and pipeline operation and presents the extensive safety measures, emergency procedures, and oversight that will be adopted and implemented for the Project. I would be thrilled if you could point out where in this “response” any of my specific concerns from my scoping comment are addressed, but I know that’s an impossible task. In April, PennEast issued supplemental responses to the scoping comments. Again, I got my hopes up. Again, they were dashed. Again, I was not listed in the Abutters’ Table 3, but in Table 4 for other “stakeholders”. Again, the safety boilerplate response appeared, not addressing ANY of my specific concerns. So I must ask. 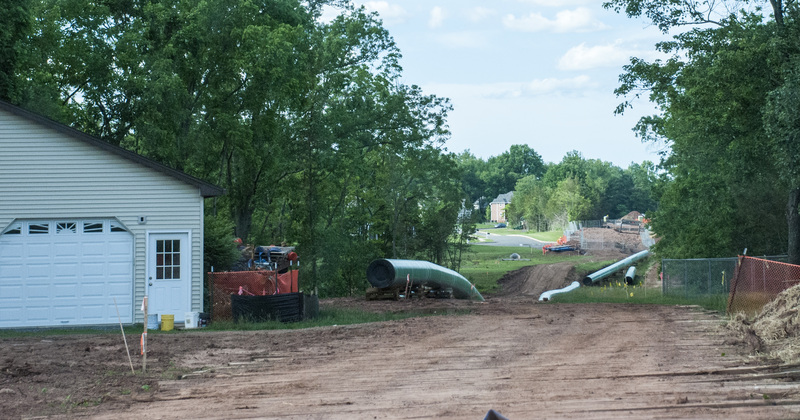 Does the FERC REALLY want an effective process wherein landowners’, abutters’ and other stakeholders’ questions and concerns are addressed by the pipeline companies, or is the FERC satisfied with simply the APPEARANCE of such a process? Based on my experience so far, I’d say the latter. I think it’s clear that if the FERC returns anything but a No-Build decision on this ludicrous project, the matter WILL be brought to court, and FERC’s processes, which from my own experience can only be described as a sham, will be brought under scrutiny. And if God-forbid a safety incident occurs before the project is shut down, I think it’s also clear that the individual liability of the FERC commissioners themselves will be brought into question for approving such a project where numerous safety concerns were not addressed. This is what building a pipeline in your backyard looks like! Click on photos to view destruction in full screen mode. And, no — these are not “photoshoped” photos. This is the real thing. NJCF & Delaware Riverkeeper Network holding meeting to discuss landowner rights. An attorney will be present to answer general questions. Note: Surveyors have been spotted throughout Delaware and other neighboring townships. Consider attending the landowners rights meeting to make you better prepared even if you are not directly impacted by the known proposed routes. Inform your neighbors. 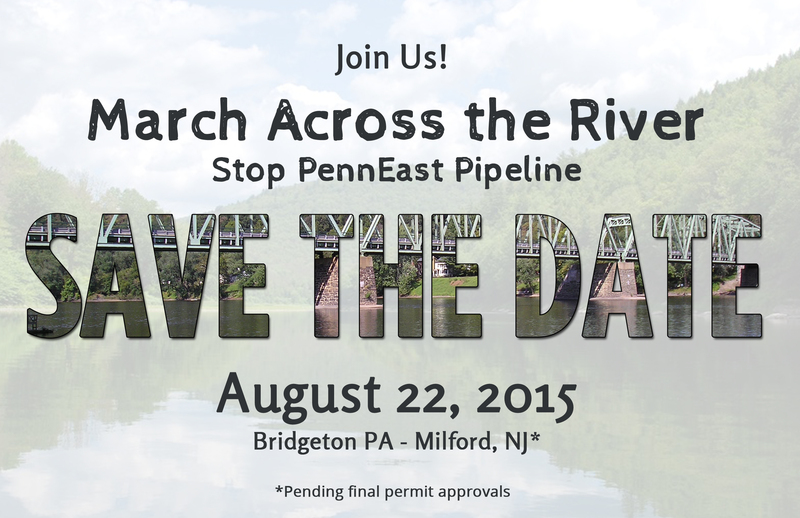 The many townships and organizations in NJ and PA impacted by the pipeline and under the leadership of The Clean Air Council, The Delaware River Keeper, and Berks Gas Truth are organizing a rally and march across the Delaware River on August 22, 2015. March will begin in Upper Black Eddy, Pa over DE River Bridge into Milford, NJ. We are expecting to have a large turnout including media coverage. However, we need your help in making event a reality.